World history conventionally ignores or underestimates the importance of Manila, the Manila galleons, and the Philippines as key stages in the development of trans-Pacific contact and of the world economy. 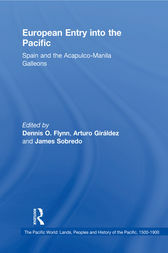 Essays in this volume discuss Philippine-Asian exchanges prior to the entry of Europeans, and then look at European influences and the impact of Magellan’s voyage, and the emergence of Manila as one of global trade’s crucial linchpins during four centuries. Linkages between Latin America and China, and Spanish-Japanese competition for the Chinese marketplace are important topics. Tensions and cooperation among Chinese, Japanese, Iberians, Africans, Christians, Muslims and others on Philippine soil are also covered. This volume suggests the need for thorough re-evaluation of the Philippines’ central role in terms of both Pacific history and global history as perhaps the single most important stage in the traffic that linked China and Latin America.